The Rowyn Ann Ney scholarship was created by USD alumni Emily Ney and her husband Scott Ney in honor of their daughter Rowyn. The couple lost their baby girl at 34 weeks and one day in late 2018. They said were incredibly touched by the nurses at the Sanford USD medical center in Sioux Falls. The couple returned to the Sanford Medical center on Thanksgiving Day. The nurses, the couple said, made their difficult situation bearable. The couple was extremely moved by the care they received. The couple decided that they wanted something good to come out of their challenging situation. The couple was able to set the parameters for what they wanted their scholarship to be. “The student has to successfully complete one semester in the nursing program and has to maintain a 3.0 GPA and have a preference in labor and delivery upon graduation,” she said. The couple hopes they can be in contact with the student who receives their scholarship. 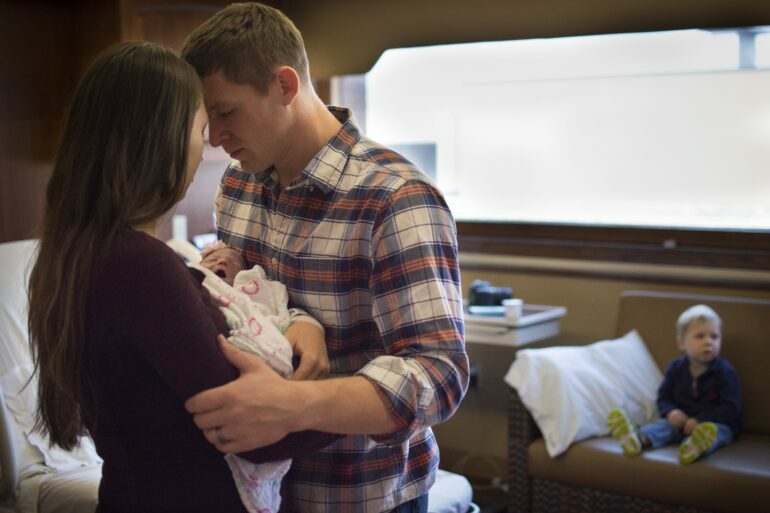 The couple chose the name Rowyn after they met their daughter. “We had a couple picked out that we liked, and we kept going back and forth and when we decided on Rowyn we just loved it,” Scott said. Emily said living in a sorority house during her time at USD, she saw how hard nursing students work. The couple hopes students will apply and that whoever receives their scholarship will put it to good use and will know they the couple are thinking of them.